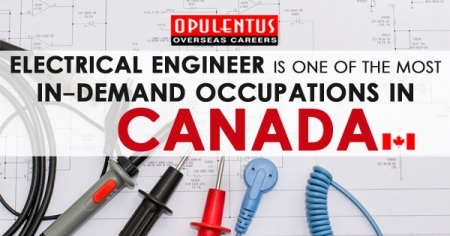 Electrical Engineers remain to be Canadian In-demand Occupations, creating the pathway to PR open for those with experience and skills in the position. Electrical and electronics engineers (N.O.C 2133) point among the first 10 Express Entry admissions by planned profession. The profession is also one of the 29 focused occupations below the British Columbia P.N.P Tech Pilot. It means there are several pathways for Electrical Engineers to explore and considering for Canadian immigration. Conduct analysis into the utility, design, performance, and operation of electrical production and distribution networks, machinery of electrical and components and instrumentation, electronic communications, and control systems, components and equipment. Preparing a cost of the material and timing calculations, design and reports specifications for electronic and electrical systems and equipment. Design electronic and electrical circuits, systems, components, and equipment. Conduct nano-devices or micro simulations, characterization, modeling process and assimilation in the development of modern electronic devices and products. Manage and examine the modification, installation, operation, and testing of electrical and electronic equipment and systems. Improve maintenance and working standards for electrical and electronic equipment and systems. Supervise technologists, technicians, analysts, programmers and other engineers. In terms of salaries, competing salaries are on the proposal for Electrical Engineers in Canada. The high experienced can demand to make in the range of CAD 125,000 to CAD 130,000 once they are set. Entry-level jobs, while, start with salaries in the range of CAD 65,000 to CAD 70,000. Higher salaries are possible in the bigger cities, including Toronto, Vancouver, Calgary, and Edmonton.